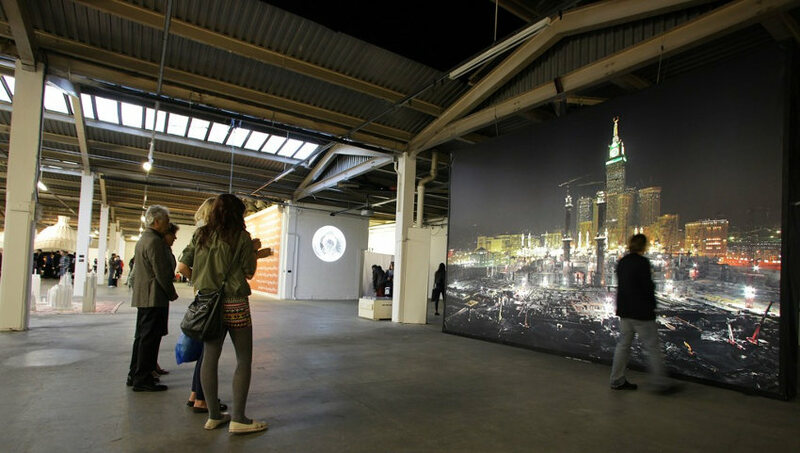 The contemporary art scene in the Saudi Arabia has developed rapidly over the past decade. A fresh generation of artists has pushed the Kingdom on a global stage with bold works that explore the past, describe the present, and imagine the future. 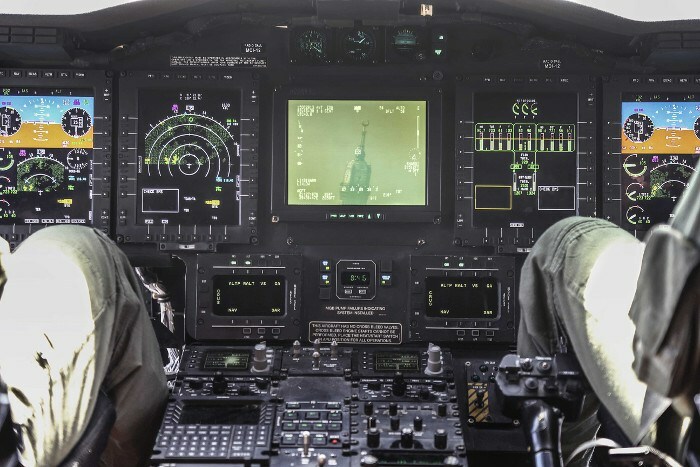 Engaging wide range of media, techniques and performances, a new wave of Saudi Arabian creative are finding ways to explore even controversial issues of religion and culture. One of the artist who has been at the forefront of Saudi contemporary art is Ahmed Mater whose work has been on display in galleries across the globe. Embracing diverse media, his art incorporates both social critique and respect for religion in an era of globalization, consumerism and urbanization. Hailing from Abha, the capital of Asir province in Saudi Arabia, Mater is a man of many talents. He has been a practicing artist for over 25 years creating works that offer a new perspective on his native country. His work encompasses sculpture, video, photography, calligraphy, painting and installation. 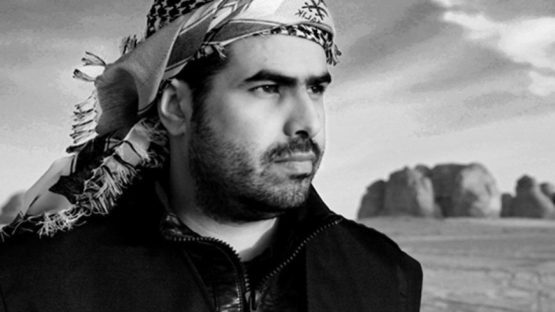 Mater is a founding member of Ibn Aseer, meaning Son of Aseer, a group of young emerging artists. He played an integral part in the Al-Miftaha Arts Village that quickly became one of the main projects in King Fahad’s Cultural Centre developed to show how modernization can be achieved within the boundaries of Saudi Arabia’s cultural traditions. He is also a doctor at the local hospital. In one of his most famous pieces to date, entitled Magnetism, 2012, Mater fused art, science and the concept of identity and religion. 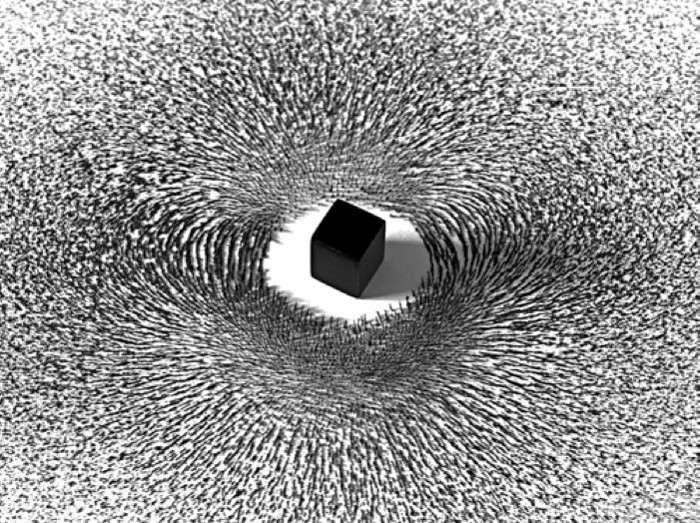 The central focus of the piece is a magnet cube that resembles Kaʿbah, also spelled Kaaba, a small shrine in Mecca considered by Muslims everywhere to be the most sacred spot on Earth. Around the cube are a spiral patterns made of tens of thousands of particles of iron evoking the Hajj, an annual Islamic pilgrimage to Mecca, that include a series of rituals like walking counter-clockwise seven times around the House of God. The overall aim of the artist is simple, but enchantingly alluring. Many of Mater’s earlier pieces have medical or scientific underpinnings, reflecting his medical training. 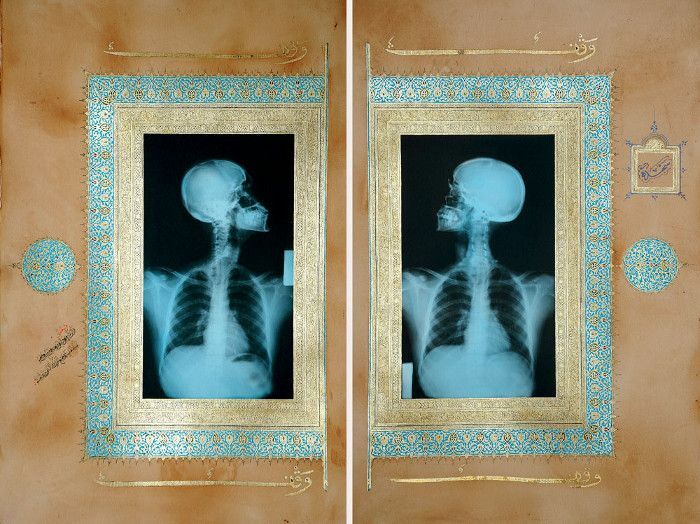 The X-ray paintings from his notable Illuminations and Evolution of Man series fuse the distinctive Islamic motifs such as the images of the Kaaba and a mosque or religiously orientated quotations, with real X- Ray photography. The artist tries to investigate the relationship between divergent perceptions of the human body combining scientific reference, medical imagery and religious symbolism in a truly inimitable way. Edge of Arabia is an independent arts initiative cofounded by Mater and his colleagues Abdulnasser Gharem and Stephen Stapleton, in 2003. The project is committed to reaching new audiences and developing the appreciation of contemporary Arab art and culture through touring, non-commercial and free exhibitions, through publications, and through education programs targeting schools and universities. Edge of Arabia officially launched with the exhibition at Brunei Gallery in London, UK in October 2008. The show included seventeen emerging artists from the county located in the Arabian Peninsula. Mater’s art has been widely exhibited in individual and collective shows throughout the world including such galleries and museums as Sharjah Museum, Sharjah, UAE; The Vinyl Factory Gallery, London, UK; Artspace, Dubai, UAE; New Museum, New York, USA; Pompidou Center, Paris, France; and Framer Framed, Amsterdam, The Netherland, to name a few. 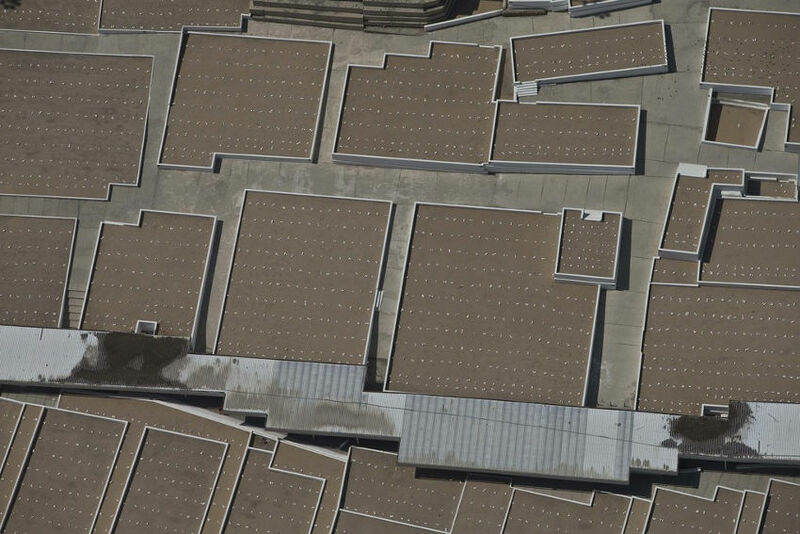 He participated at the Venice Biennale in 2009 and 2011. Many of his works are found in the prestigious collections like Asian Art Museum, San Francisco, USA; The British Museum, London, UK; Centre Pompidou, Paris, France; Smithsonian Museum, Washington D.C., USA; Ullens Center for Contemporary Art, Beijing, China; Victoria & Albert Museum, London, UK, and others. Along with his wife, Arwa Alneami, also an artist, Mater owns a private studio in Jeddah – a popular gathering place for emerging and established artists. In a country that doesn’t have a single cinema hall, live theaters or public spaces where men and women should mix and mingle freely, and exchange ideas without inhibitions for religious reasons, Arwa and Ahmed’s salon is a unique spot in the Kingdom. So there is no doubt that in the future, we can expect more from them and their fellow colleagues. 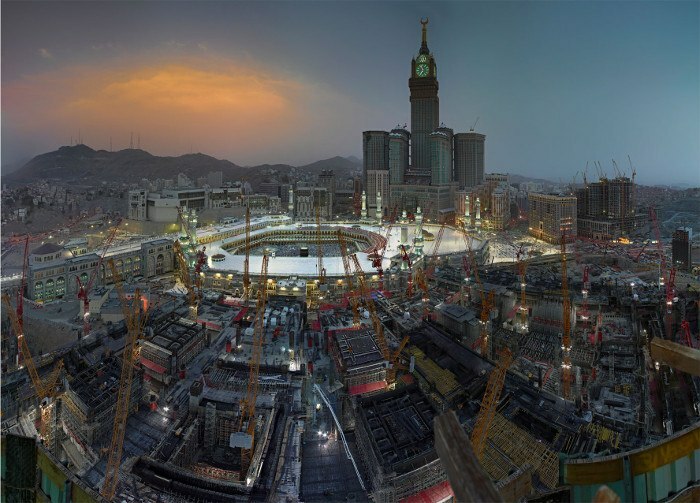 Ahmed Mater lives and works between Abha, Jeddah and Makkah in Saudi Arabia.